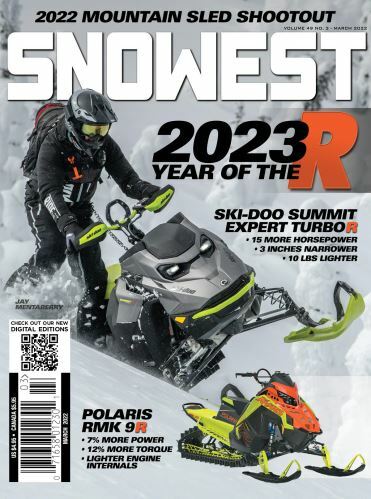 Michigan Technological University fared well in the 2019 SAE International Clean Snowmobile Challenge, taking first place in the compression ignition diesel utility class. The team took home a trophy and $1,000 prize sponsored by Oshkosh. The group also received one of the event's Can-Do E-Controls Innovation awards, earning $1,000 in products. Their fellow teams at the competition also voted Michigan Tech the most sportsmanlike, earning Huskies a $1,000 award sponsored by AVL. And, in the spark ignition gasoline class, Michigan Tech received the Polaris best handling award. Last, but not least, the Huskies earned a Michigan Snowmobile Association award plaque for completing the 100-mile endurance and fuel economy event, from the Challenge's home base at Keweenaw Research Center to Copper Harbor, MI, at the tip of the Keweenaw Peninsula. Twenty-two university teams from the U.S. and Canada competed this year: 13 in the spark ignition gasoline class and nine in the compression ignition diesel utility class. The teams came from as far east as Clarkson University, and as far west as the University of Idaho. First place winner overall, awarded the MacLean-Fogg Cup and $1,000, is University of Wisconsin, Platteville. Complete results are posted on SAE International's Clean Snowmobile Challenge site.